We had a fantastic weekend. Friday was the CD release party that Alex played at. It was amazing! Sam Fisher is the man. I couldn't take many photos because I was working media in the production booth in the wayyy back. Saturday we visited the North Raleigh Farmer's Market. We bought a whole chicken for the first time! We were pretty nervous about it...but Alex is a great cook! So after church he sliced up that chicken and made a delicious dinner. Yumm. Sunday we went to SPARKcon in downtown Raleigh along with some wonderful friends. Jaxon also tagged along. It was so much fun checking out the art, music, etc. Good times. In the evening we had our weekly Soma meeting. I always love getting together with these people. We also watched the entire first season of Dexter. Yup, it's pretty safe to say that we're hooked. 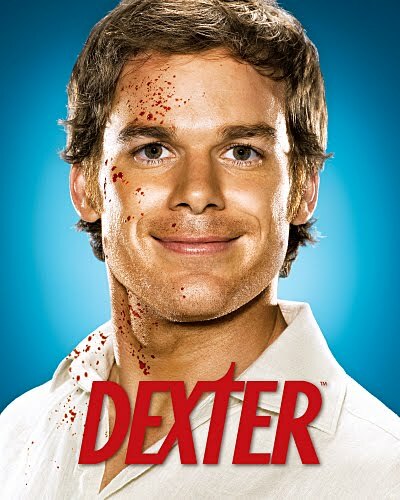 As a person who has a bachelor's in psychology I find Dexter to be extremely fascinating. I'm looking forward to catching up on the rest of the seasons.